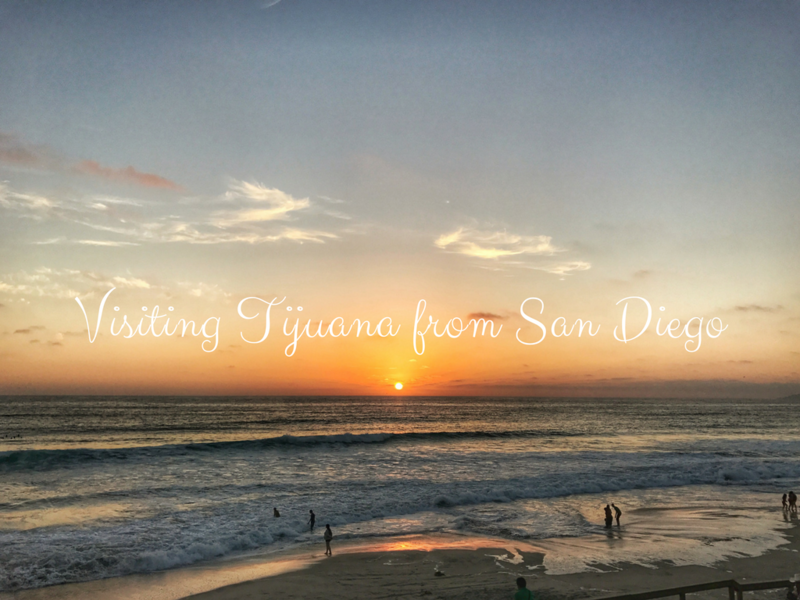 Want to know how to get to Tijuana from San Diego, the best things to do in Tijuana, where to stay and is Tijuana safe to visit? In his guide, you’ll find everything you need to know about visiting Tijuana from San Diego. Sitting just 20 miles (32 kilometres) south of San Diego, it’s hard to believe that a few steps can alter your surroundings so dramatically. Yet, step over the border from the USA into Mexico and turn your ear to the air: the car horns have stopped, tacos sizzle on road side carts and Spanish floats by on the breeze. “Bienvenido a Mexico!” you’ll hear from the locals and they mean every word – welcome to Mexico! Just shy of 35 million people visited San Diego last year but less than a third of those tourists crossed the border. For many it is concerns about safety. For some, they feel like San Diego is enough. For others, it’s all just that bit too complicated. For me: I can’t think of a better way to spend a few days. And in this guide I hope to convince you of the same. A lot of you reading this will fall squarely into that 18 to 20 years (and 11 months) age bracket and only thing you want to do in Tijuana is take advantage of the lower drinking age limit in Mexico. Of course, you might end up doing more than that one thing – like getting a tattoo on your posterior of a man and a donkey having…how do I put this delicately…intimate relations (yes: that’s a true story and yes, I was ‘treated’ to a view of the aforementioned tattoo). But the city’s nightlife is not the only thing to do when you cross the border. Here’s a list of 20 things to in Tijuana. And to help you out, I’ve included a Google Map of all these locations at the end of this article. Because it is monumental – so much so you can see it before you cross the border. Most people don’t think of Tijuana as a cultural centre but it is stuffed with cultural activities and has a centre dedicated to exactly that. 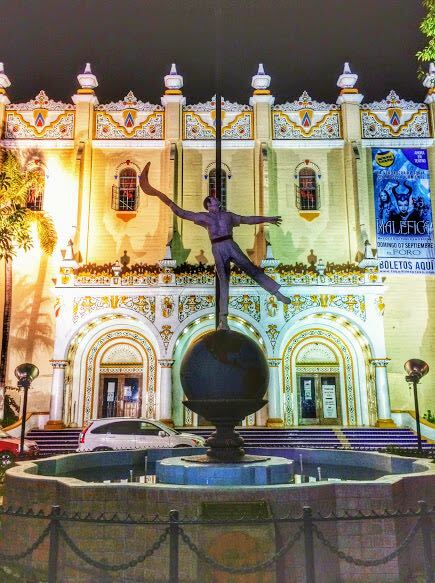 As well as an IMAX and a full performance program, there is an exhibit of the history of Baja California – ideal if you’re at the start of a road trip down the peninsula. How to do it: Find out more here. Being a tourist means you’re all but duty bound to see the local cathedral, doesn’t it? If you hold that opinion, you can get your fix at Catedral de Nuestra Señora de Guadalupe. 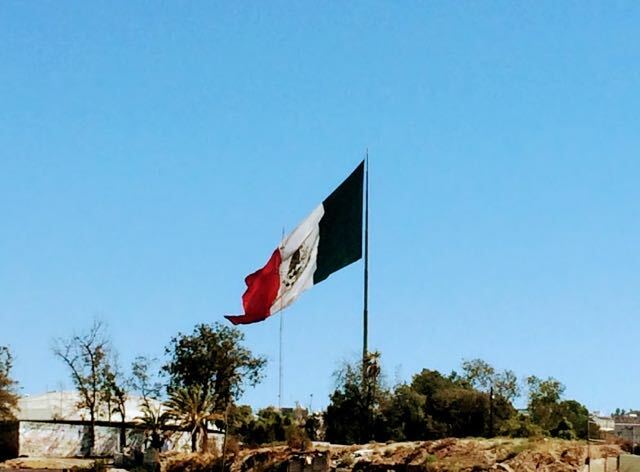 The flag in Tijuana is not only highly visible courtesy of its size, it’s one of the banderas monumentales – a program of large flags in Mexico marking locations of significant Mexican events. I can’t find the exact dimensions of the flag online so if anyone wants to shimmy up the pole and measure it for me, that would be great. You can read more about banderas monumentales here. How to do it: If you’re a real shopping fanatic and don’t want to spend time figuring out the Tijuana shopping scene, you can book a 5-hour day trip from San Diego to Tijuana that includes plenty of shopping as well as some sightseeing. This shopping activity merits a separate mention because it’s the perfect place to immerse yourself in Mexican daily life. Brimming with fresh local produce, crafts and eateries, Mercado Hidalgo has every Mexican food or souvenir that you could want all in one place. Pasaje Rodriguez is well know for street art in Tijuana but it’s not the only place you’ll find it. 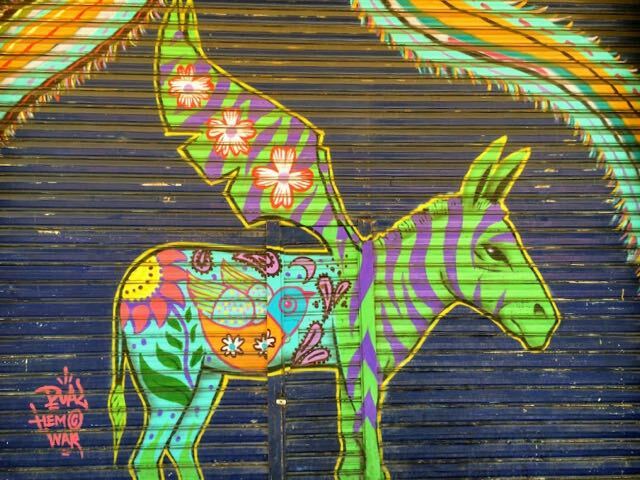 How to do it: Get some Tijuana Street Art inspiration from Pinterest and I’ll be posting my Tijuana street art pictures on Pinterest here. Another confession: for all my travels in Mexico, I’ve never seen a Lucha Libre wrestling match. No reason, I’ve just never gotten around to it. Don’t be like me. Go, and let me know what it’s like. How to do it: You can check dates and book tickets here. Looking for some green space in an otherwise building oriented city? Head to Parque Morales. A blend of woodland and traditional park, there is also a lake and a train for getting around (probably aimed at kids but I’m sure your inner child can hop aboard). How to do it: You can find out more about the facilities and what’s on here. Wait? What? There’s a beach in Tijuana. Yep, I know, right! And, if you are in TJ to party, the country is really well set up for taking a six pack to the beach with cool boxes and ice available in 7-Eleven and OXXO. If nothing else, go there for the sunsets. Ok, so there isn’t exactly a lot of organised tequila tasting opportunities in Tijuana, which, frankly, is missing a trick as far as I’m concerned, but you’re in Mexico, so all you really need to do is step into a bar – any bar will do – and try a few brands you’ve not tried before. How to do it: Not sure where to start? Check out this list of some of the world’s best tequilas. My current favourite is an unfortunately rather pricey tequila called Adictivo, which does exactly what the name suggests. As though you were going to go to Tijuana and not try the local food! As far as I’m concerned, you’ll be hard pushed to find a bad taco in Tijuana and the more substantive plates are just as good. However, if you’re the kind of person who wants the kind of food that comes ‘highly recommended’, I’ve got a list of where to eat in Tijuana below. The sand and sea isn’t all that’s on offer at the beach in Tijuana. There’s a lively malécon featuring streetfood vendors, local crafts, restaurants and bars. Did you know that Mexico is one of the largest coffee producing countries – in the world? If you didn’t, you do now and what better place to drink it than in Mexico itself. How to do it: Make sure you’re buying local. You can find out more about Mexican coffee here. My favourite Mexican coffee comes from Chiapas. Who needs Vegas when you can gamble in Mexico? How to do it? Here’s a guide to casinos in Tijuana – Casino Caliente is a popular choice. Like many places around the world, craft beer has arrived on the scene in Tijuana and I have to say it’s good. 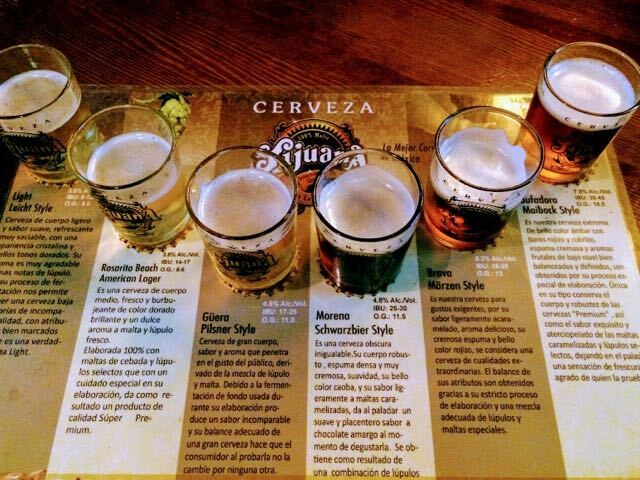 How to do it: BCB Tasting Room is a popular place to taste Tijuana craft beers. Otherwise, you can find a longer list of suggested supping spots here. 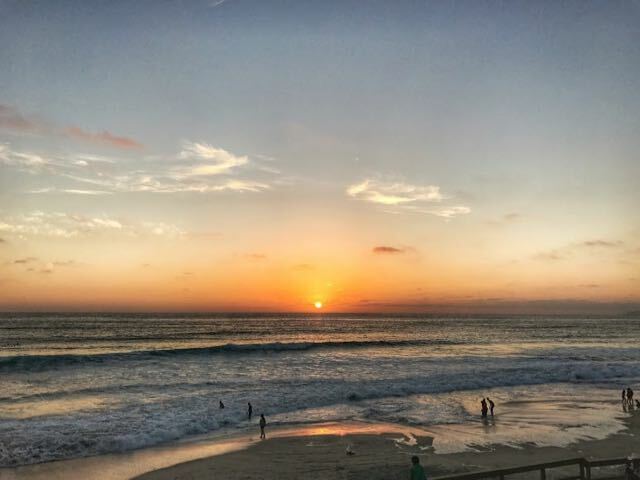 Whether the Tijuana nightlife is the beginning, middle and end of your plans for the city or whether you just want to see what the fuss is all about, here is a list of some of the best places to go. Otherwise, hitting the main tourist drag isn’t a bad place to start. My trip to Tijuana was part of a larger trip down Baja California, which included a visit to one of Mexico’s most famous wineries – L.A. Cetto in Ensenada. But if you can’t make it to Ensenada, you can still go tasting at the L.A. Cetto cava in Tijuana. How to do it: You can find out more about L.A. Cetto in Tijuana here. 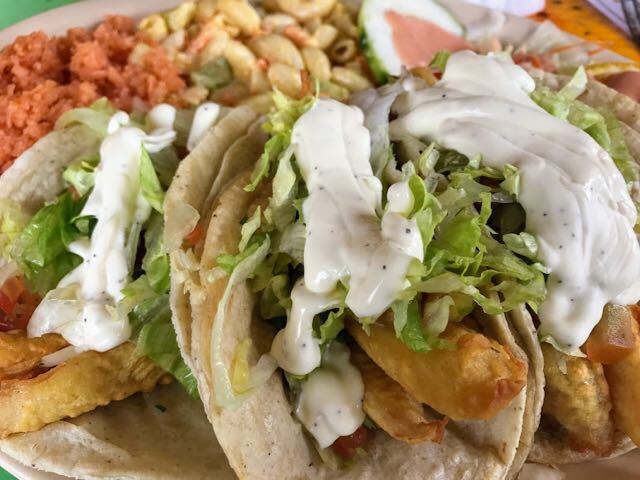 Yes, I know I said I’d give you a list of ‘where to eat in Tijuana’ below – and I will, I promise, but the fish tacos at this restaurant by the beach deserve a special mention (picture below if you want proof). I’m not going to win any prizes for being a healthy lifestyle role model with this one but, you know what, you’re in Tijuana, your head hurts from the night before and you have more party plans coming up. At least by trying a michelada, you’re mixing your ‘hair of the dog’ remedy (beer) with all the goodness of tomato, clam juice, lemon and chilli. What follows is a short list of the most famous places to eat in Tijuana together with a few of my favourites and a couple of recommendations from local friends. I’d be interested to hear your thoughts on these places and any other suggestions in the comments below. I’ve also included these places on my Google map below. You can find a full list of the best, recommended places to eat in Tijuana on Tripadvisor here. Baja California Coastal Day Trip from San Diego – this nine hour trip gives you so much more than just Tijuana. Add in the seaside village of Puerto Nuevo and Rosarito Beach. Click here to check prices and availability on TripAdvisor. 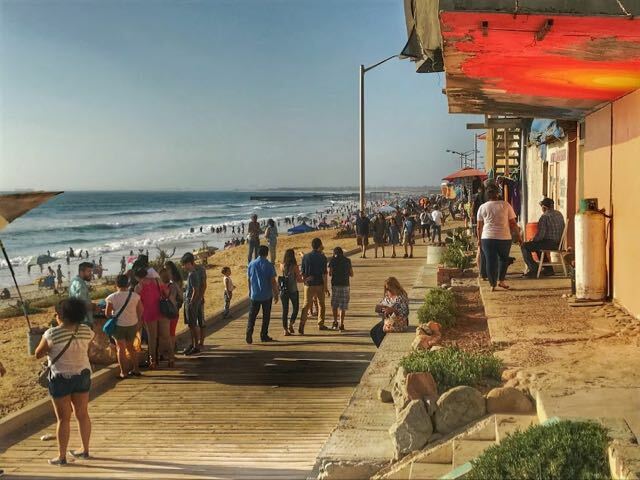 Tijuana Half Day Sightseeing Tour from San Diego – if you just want to dip your toe in Tijuana, this half day tour is the perfect introduction. Click here to check prices and availability on TripAdvisor. San Diego and Tijuana Day Trip from San Diego – looking to combine a guided tour of both San Diego and Tijuana? This is the tour for you, with an optional harbour cruise in San Diego. Click here to check prices and availability on TripAdvisor. Tijuana is just 20 miles (32 kilometres) from San Diego and it takes about 45 minutes to get from Fifth Avenue in downtown San Diego to the border area known as San Ysidro. 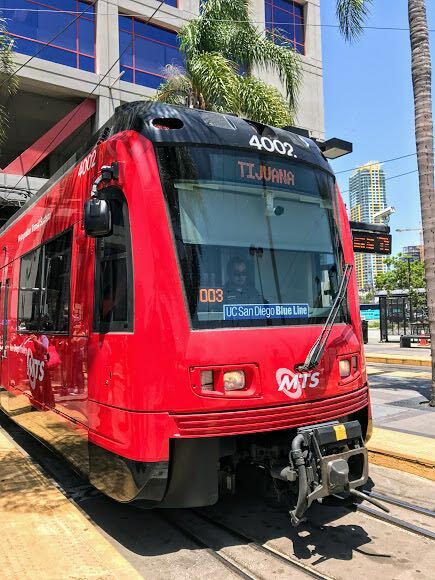 The easiest way to get from San Diego to Tijuana is via tram (the San Diego Trolley). 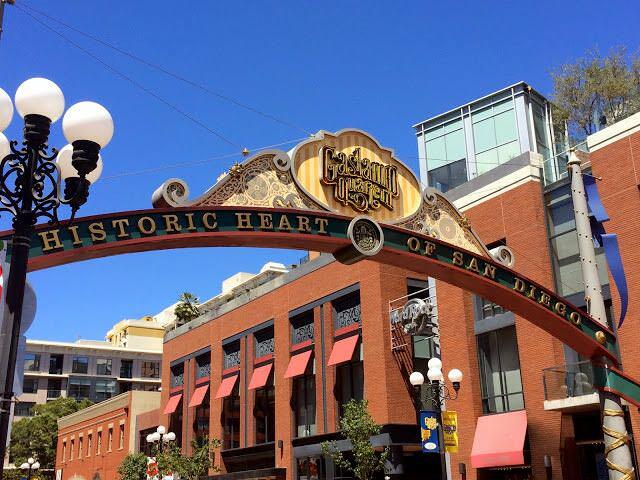 You need to take the UC San Diego Blue Line, which starts at the American Plaza Transit Centre, near Fifth Avenue in the tourist Gaslamp area. The blue line will take you direct to San Ysidro from Gaslamp and says Tijuana on the front. If you want to connect to the tram from another part of San Diego or from another line, you can find the trolley map here. The trolley costs $2.50 and tickets can be bought from one of the trolley ticket machines using cash or credit card. The trolley is part of the San Diego MTS. To get to the border from San Diego International Airport by public transport, take the MTS airport bus (number 992), which will take you directly to Broadway and Kettner. From there you simply cross the street to the American Plaza Transit Centre and catch the blue line trolley. The airport bus costs $2.25 and you must have the exact change or you won’t be able to ride. Crossing the border into Mexico couldn’t be simpler. Follow the signs, go through the turnstile and you’re in. 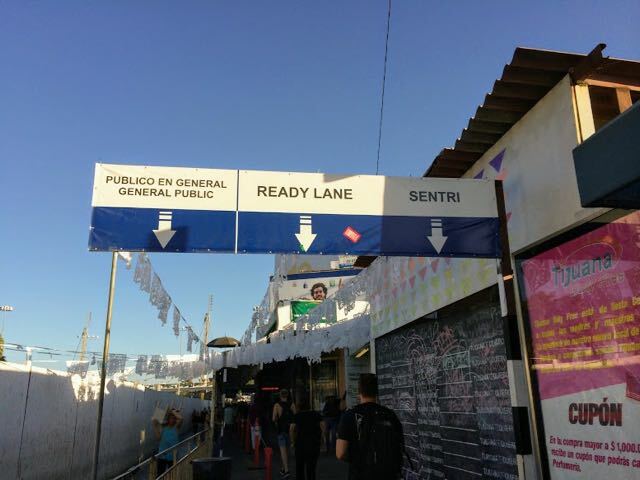 You generally will not have to queue to cross the border to go to Tijuana. However, you’ll notice a dramatically different experience coming back into the US if you use the same border crossing. But more on that below. Visas, passports and entry fees – what’s the deal? The official position is that all visitors to Mexico require an FMM Tourist Card which can be obtained online or, in theory, at the border. In order to obtain an FMM Tourist Card, you need a passport. So, that’s the official position. In reality, I have never been asked to show a passport or fill in an FMM form when passing from San Ysidro to Tijuana. This unofficial position can be both great and greatly unhelpful. If you want to chance your arm and cross the border without a passport, you’ve probably got a fair chance of success (though I’m making no promises) and you will require the necessary identification to return to the US. If you’re not from the US or Canada, this will be a passport in any case. Where the unofficial position becomes unhelpful is when you actually need an FMM because you’re exiting Mexico from a border with more controls than in Tijuana or from an airport. The first time I entered via Tijuana, not having a stamp in my passport made no difference because I crossed back into the US a few days later by the same route. This time however, my lack of stamp was a problem because I left from the airport in Mexico City. Cue: 500 pesos, a strict talking to and a whole heap of bother finding an immigration office where I could fix the issue. 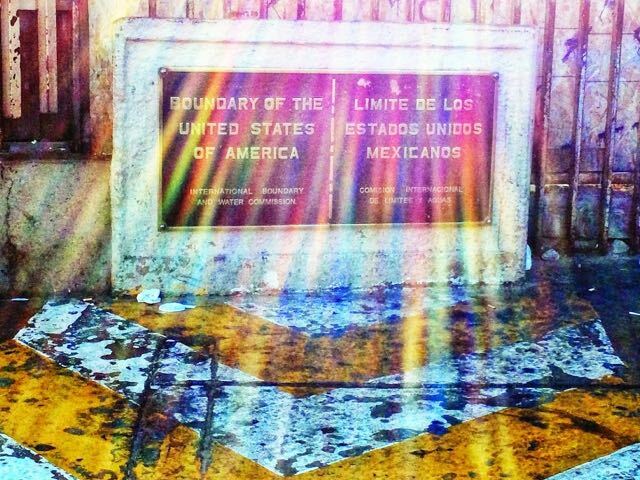 As for paying a fee, a few years ago an entry fee was implemented for tourists entering Mexico at the Tijuana border. As of 2017 that fee is 500 pesos per person and is payable if you’re staying for more than seven days. However, as mentioned above, finding an official to pay the money to at the border is another matter. I ended up paying the fee at Mexico City airport. You can find full, helpful and up-to-date details about crossing the border on this website. 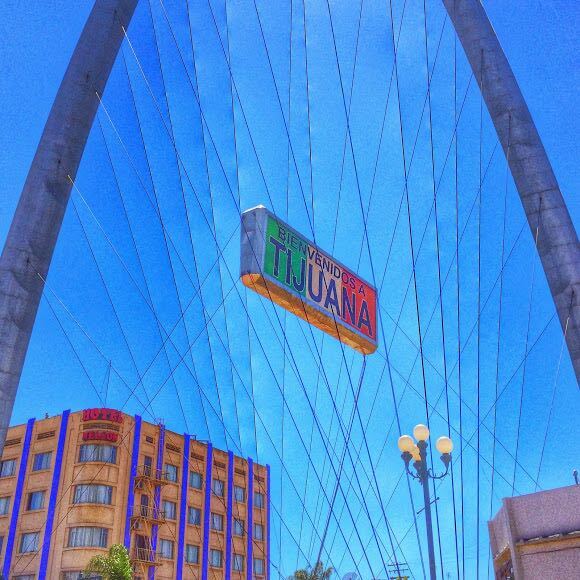 The first time I crossed into Tijuana by land, I managed to make my way to downtown no problem. This time, I didn’t find it so straightforward. Download maps.me and follow the directions from this off-line map service (just make sure you have downloaded the Baja California portion of the map while you are online). Alternatively, ask someone. Most of the locals near the border speak English if you don’t have great/any Spanish and although the taxi drivers will try to sell you a fare, they will still help you with directions if you refuse a ride. Otherwise, check out my Google Maps below where I have marked the border and the main tourist avenue – Avenida Revolucion. It a several minute walk between the two. The San Ysidro border is a 24/7 operation. However, as I would advise in any country, it’s best not to hang out around the border, drunk in the middle of the night because that’s just asking for trouble. What is the time difference between Tijuana and San Diego? There is no time difference between Tijuana and San Diego. Let’s start with this fact: the Tijuana-San Ysidro border crossing is the busiest in the world with around 50 million people crossing a year. Many of those people are Mexican commuters heading into the USA for work. So, it’s understandable that crossing back from Mexico into the US, coupled with America’s painful security checks and general paranoia about Mexico, promises a long wait. You can find out more about the fast lanes here. The most important thing is to make sure you don’t get into one of the fast lanes when you don’t have the right documents. I know this from experience because I was incorrectly advised that the RFID in my passport would work when, in fact, it didn’t. This resulted in me having to go to the back of the line and queue a second time. Total waiting time: 4 hours. You can get an estimate of border wait times from this website. I’ve personally never taken a car across the border so I can’t offer my own experience. And if you’re just crossing from San Diego to Tijuana, I would advise that you travel by foot because it is so easy. If you do have a rental car or your own car with you, there are reasonably priced car parks near the border on the US side, where I’ve left a car before and it was completely fine upon my return. If you do plan to take a car from the US to Mexico – which might be helpful if you’re heading down Baja California’s route 1 – make sure it’s covered for insurance and also that taking it across the border is within the terms of any rental agreement (quite often it’s not). Alternatively, opt to hire your car in Tijuana. I did this on my last trip and the rates were much cheaper. I booked with Rentalcars.com, which is a car rental comparison site and makes life a lot easier than checking prices on individual sites. You can find out more about taking a car to Mexico here. And if you want an insight into the myriad vendors working the border, you can read more in this fascinating post. What about flying into Tijuana airport? Tijuana airport is located about 20 minutes by car from Avenida Revolucion. It’s a great option if you are arriving from elsewhere in the US or overseas. However, due to the proximity of San Diego to Tijuana, it makes little sense to fly between the two cities. I’m not going to sugarcoat it, you do need to be a little bit more careful picking where to stay in Tijuana. Why? Firstly, you don’t want to stay in an unsavoury area. Secondly, there have been instances of possessions being stolen from rooms. The good news is that both of these risks can be countered: first by sticking to the tourist area for your accommodation; second, reading reviews on Trip Advisor to make sure that past guests checked out with all of their luggage. I have previously stayed in these two places, which were in good locations and nothing went missing. Aqua Rio Hotel – A budget hotel in a good location with very friendly management. Book ahead because this hotel is popular (probably for the same reasons I like it). Trying to book a few days in advance in August over the weekend, it was fully booked out. 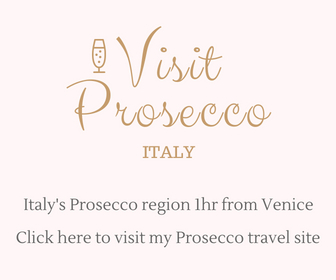 Click here to check prices and availability through TripAdvisor. Lifestyle Hostel – This is my favourite place to stay in Tijuana. Yes, its budget and a hostel but they have a private room and you absolutely cannot beat the location, which is just across the road from the beach. You’ll also, you’ll be surrounded by like-minded travellers who are more than happy to share tips about where to go and what to do in Tijuana. Click here to check prices and and availability with HostelWorld. Tijuana Marriott – if you want somewhere more upmarket, there is a Marriott near the business district, which gets great reviews and delivers everything you’d expect from this hotel chain. This is also probably the most luxurious option you’ll find in Tijuana. 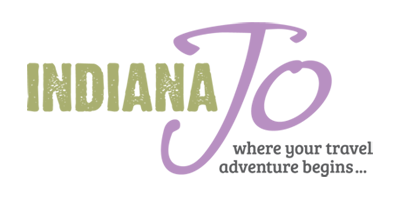 Click here to check prices and availability through TripAdvisor. Hotel Ticuan – a good mid-range option in a good location in Zona Centro, this hotel is popular. Click here to check prices and availability through TripAdvisor. I found the Wikipedia travel page for Tijuana helpful when researching where to stay. 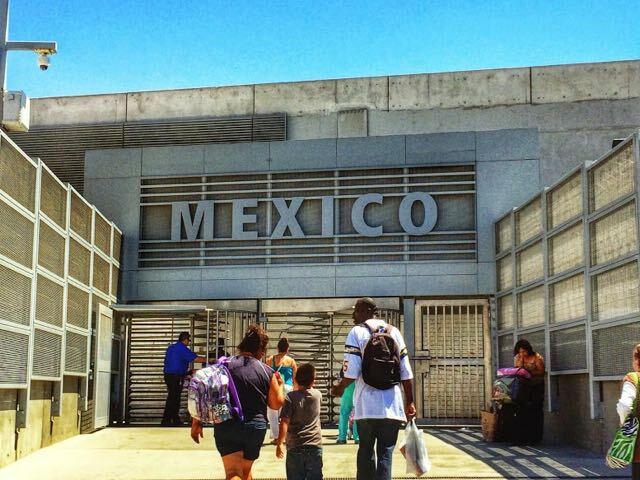 Should you take a day trip to Tijuana or stay overnight? 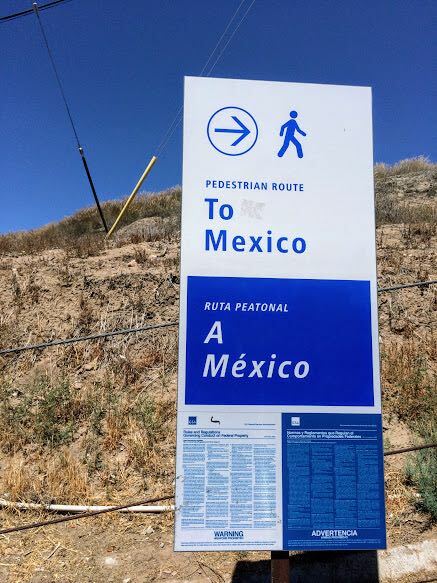 Apart from all of the wonderful things to do in Tijuana – see above – the return border crossing back into the US alone makes a day trip less of an attractive prospect. If you’ve already gone to the effort of arriving in Tijuana and particularly if you’re looking to experience the nightlife, I’d highly recommend spending at least one night in the city. Is Tijuana safe for tourists? I’ve written two articles in the past specifically aimed at whether Mexico is safe and in there I cover Tijuana. You can find those articles here and here. But let’s touch on the subject here, too. Type ‘is Tijuana safe?’ into Google and it will take you less than three minutes to decide to cancel your trip. Why? In my view it’s a combination of two things: sure, there has been some drug-related trouble in Tijuana and, courtesy of the number of drunk tourists, there will be some opportunist crimes too. But that’s only half of the reason behind the bad press – there seems to be nothing the US media sites love more than sensationalising every single unsavoury instance that happens in Mexico. Speak to anyone in the USA and they will have some anecdote about how unsafe Mexico and Tijuana is. However, before you cancel your trip, do your research. Check the official travel advisory websites and do this for more than one country. America’s official view of Mexico is, sadly unsurprisingly, more fear inducing than the official view you’ll read from somewhere like the UK. Next, check the local news in Mexico. And then check the local news in your home country. I bet you’ll find violent deaths have been reported for both places. Yes, crime has increased in recent years in Mexico and in Baja California but, personally, as of late 2018, I would still feel comfortable travelling there. What Does Travel Insurance Cover (and What is Excluded)? Click here to view this map in Google Maps. 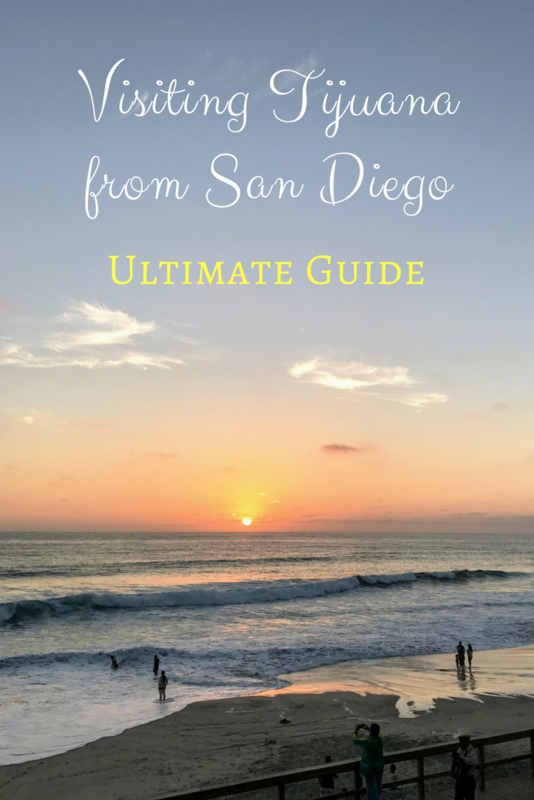 So, that’s my guide to visiting Tijuana from San Diego. If you have any questions or more suggestions, let me know in the comments below. Hi Eli, yes, I’d recommend a taxi – it’s about 15 – 20 minutes away and shouldn’t be too expensive. If you’re paying in dollars, you’re probably getting ripped off. I believe Uber is now in Tijuana so that might be worth a try. Dahlia Dental right next to the Hotel Pueblo Amigo is very good and I had full mouth reconstruction done there. About 150 yards from the border. Hotel is very nice also. Hi Jo, I am thinking of taking a 2-day cooking class at the Tijuana Culinary Art School- it looks like state-of-the-art school. The classes run from 5:30 pm to 10:30 pm so I would be crossing back to the US by foot rather late at night- I might stay at a nearby hotel, though, so I could return to the US during the day time. I’m a bit nervous about doing this by myself- oh well, you only live once! Hi Fran, I’d personally rather stay locally than linger around the border area late at night. If you’re worried, book one of the big chain hotels and get a taxi straight there from your hotel. Have a great class – if you have a minute, come back and tell me how it goes! Have a great trip. I’m looking at going to have gastric bypass in Mexico. Go to San Diego and travel down. It’s at Oasis hospital. Any info you can provide would be helpful? Hi Valerie, I’ve not been to Mexico for any medical treatment so I’m afraid I can’t advise you. Having spent a lot of time in the country, I can say that I wouldn’t have any concerns about having treatment there if it was medically necessary. Part of me wants to say that I’m sure you’re beautiful and wonderful without the surgery but that isn’t very supportive so, if it’s the right decision for you, I wish you luck and hope it all goes well. Hi Andy, I don’t believe there is a direct bus – I suspect this is because all vehicles have to pass through the border which can be very time consuming and therefore not cost efficient for a bus company. If you want to go direct, the best options are via taxi or private tour. Hope that helps. Hi! This is really random, but I’m going to San Diego for a day and need a cheap place to stay for one night and found that Tijuana has really inexpensive Airbnb’s. Can you tell me how easy it is to get in and out of Tijuana to California? I’ve never entered Mexico by car so I’m just wondering if you know how long it typically takes to get in and out at the border. I know I need a passport, but other than that do you know if I’d need anything else? Any insight would be really awesome. Thank you! are there 2 entry/exit points for walking ? I’ve used the old one by the trolley. Is the new one more convenient ? I’ve only walked over the one crossing which was close to the trolley. So I can’t comment on the others except to say that it was super easy. I want to take advantage of the lower dental prices in Tijuana. But I am scared to visit. Their violent murder rate in 2017, was 1700 murders! That is just for Tijuana. So you think it is a safe place for an older white women to visit? Hi Sally, I’ve been to Tijuana more than once and never had any trouble. Of course, I can’t make any promises about any destination (including Europe and the USA). However, I’m sure if you drill down into those crime statistics, you’ll find most of them were gang/drug related and probably unlikely included women travelling for dental treatment 🙂 Do be savvy – don’t take your Rolex, stay in a safe area and ask your hotel for local safety advice and I’m sure you’ll be fine (dental pain aside!). 1000 percent safe. Go to trust dental care in Tijuana. Perfectly clean and safe. They even offer a driver to pick you up and drop you off at the border free of charge. I’ve also stayed at the hotel next door which is nice and literally right next door to the dental place. I’ve been down there about 50 times over the last 20 years and never once felt unsafe and I’m a small short Asian guy! I am thinking of doing this as a younger small Asian guy, any tips? What to avoid/where to hide money, is it safe to go to a convenience store alone for a sim card? Hi Chad, I’m a small woman and had no trouble. I tend to take money out as I go to limit my risk and just store it in an old travel towel cbag (sophisticated, I know!). I’ve been to plenty of stores alone and they will even help set up the SIM for you. Good luck! Totally safe. I recommend Trust Dental. They’ve done extensive work on me including implants High quality, they all speak English, and you can park on the US side of the border and they will have the driver pick you up, drive you to the office, then return you to the border when finished. Try it once. You’ll be surprised how easy and cheap it is. We did the trip at the same time as you. We also crossed at San Ysidro, but in a private car. There was no line going into Mexico. Coming home on a Sunday night, however, was a nightmare. The line of cars was 4 miles long. It took us 5 hours and 16 minutes (yes, you read that right: 5:16) to make the actual crossing. It was a total mess. Foot crossings are probably much, much easier. Hi Lance, yikes! I did wonder, given how long it took to cross back by foot, whether it would be about the same by car but apparently not. Thanks for stopping by to share this. Hopefully, it will help someone say five hours of their life (or at least prepare them so they can create a five-hour long playlist on Spotify!). Lance: thanks for the information about the border crossing time. It sounds like a weekday around 10am might be better for crossing back. My wife and I are planning a camping trip down Baja next winter and the information posted here in the article and the comments are quite pertinent for our planning.